Jahmiere O'Neal, center, with Cijntje Sox, left, and gym owner Joseph Coney. 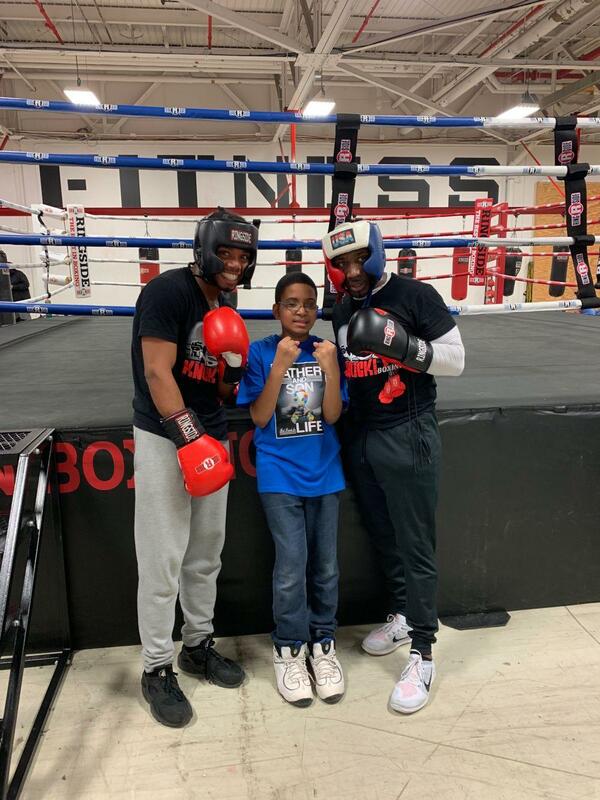 In honor of Autism Awareness Month, a local parent organization and a boxing gym teamed up on Sunday for an event called Knocking Out Autism. Parents United in Love is a subcommittee of Citizen Action of New York. The group is led by parents of special needs children to provide activities for children of all abilities. 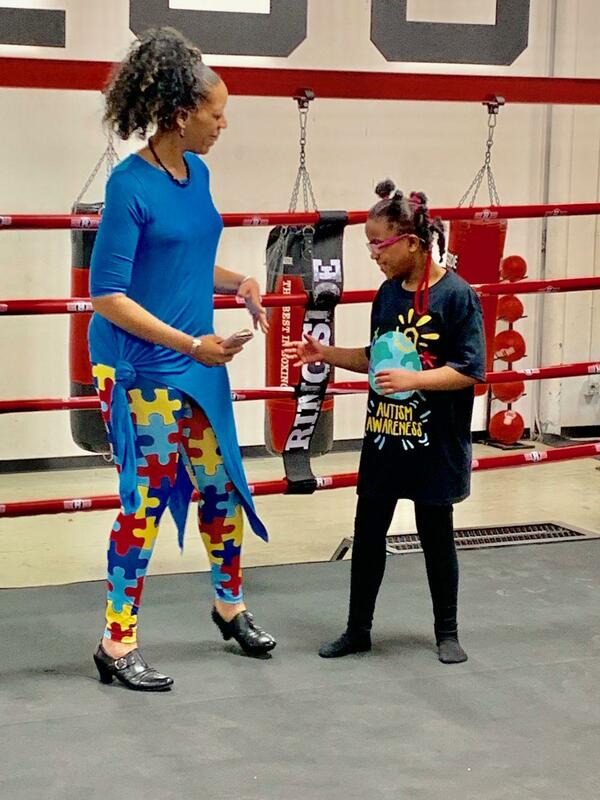 Parents United in Love member Vialma Ramos originally contacted Nasty Knuckles boxing gym to throw a private celebration to support her son, who is on the autism spectrum. “I celebrate Autism Awareness Month with my son and I do this as a private event, but when I contacted the gym to schedule a private party, he really liked the idea and wanted to make it a community-wide event. And so that’s how this came about,” Ramos explained. Owner Joseph Coney was happy to help with the cause. He offered his gym space free of charge and provided food and staff for participants. Ramos says children with special needs tend to gravitate toward electronics, and the gym was a great space to promote the benefits of physical fitness and inclusion of children of all abilities. Clara Washington and her daughter, Jayla Morrison. Clara Washington also attended the event with her daughter Jayla Morrison. Washington said that acceptance is important for people like her daughter, who is on the spectrum. “She is a little different, but she is just like any other kid that wants to play,” Washington said. "But they don’t want to play with her because they don’t understand, and I can’t take the time to educate all the children of the world, so it’s up to the parents to do that and include, so that’s why Autism Awareness Month is extremely important." The event was co-sponsored by Alliance for Quality Education and the Public Policy Education Fund of New York. Organizers are planning a ”Day of Play” for children in August.